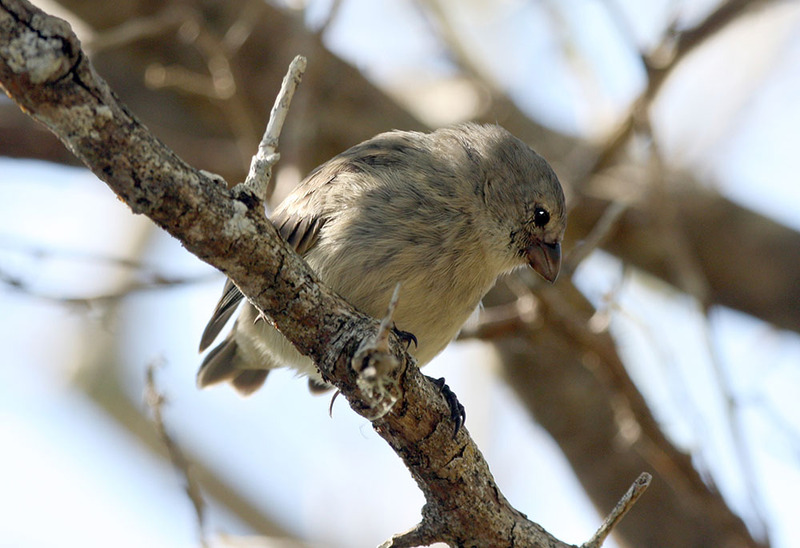 The medium tree-finch is a small, critically endangered bird found on Floreana island. 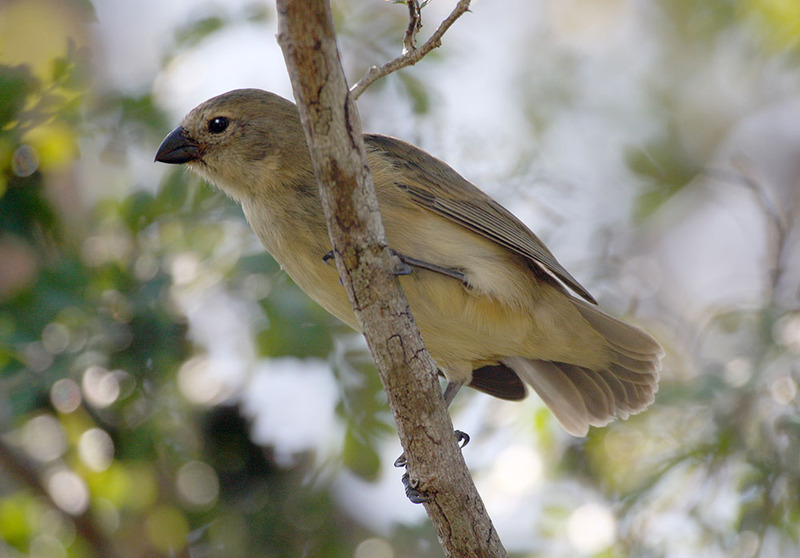 The medium tree-finch is endemic to Floreana island, and only found in the small range of 23 km2. It is only found in the highlands of Floreana, in forested habitats such as evergreen forest, tropical deciduous forest, and humid scrub. The medium tree-finch is a small, fast bird, mostly greyish-brown, with white and yellowish underparts helping it to blend in with its surroundings very well. It used to be found across Floreana, but in recent years the island has suffered extensive habitat destruction due to human activity; agriculture expansion, degradation by free-ranging domestic livestock and invasive species such as feral pigs, rats, and cats. These invasive species have had a detrimental effect on the native wildlife across Floreana island, with the birdlife particularly hard hit. The medium tree-finch is usually monogamous and often has long-term pair-bonds. They maintain a small territory during the breeding season from February to April, where they nest in the Scalesia forest. The female lays four whitish eggs with darker spots which she incubates alone for 12 days. The chicks fledge 13-16 days after hatching. There are currently less than 1,660 individuals of this species left with a declining population trend. Where to see them: In the highlands of Floreana island, particularly in Scalesia forest. Threats: Introduced predators such as pigs, cats, dogs and rats and the parasitic fly Philornis downsi. Other threats include avian pox and the degradation of the birds’ Scalesia habitat. Conservation action: GCT is supporting one of the largest conservation efforts of its kind ever attempted on an island with a human population. 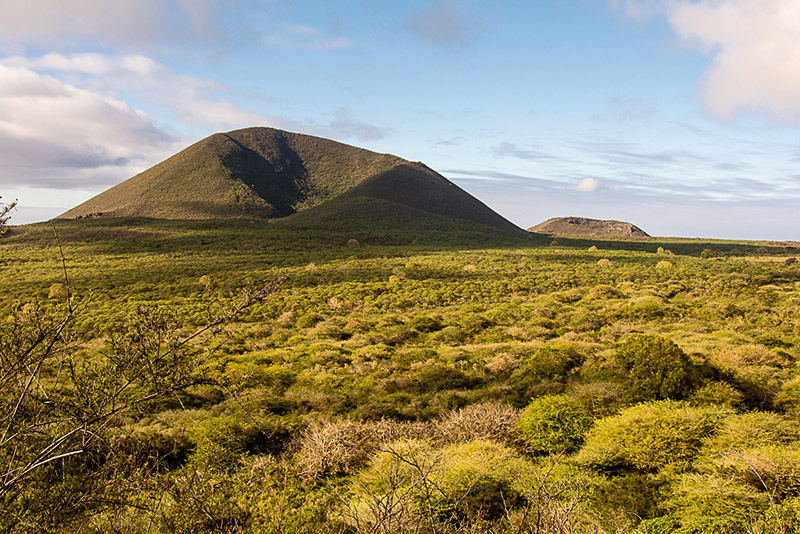 The project will attempt to eradicate and control the populations of invasive species across Floreana, which will benefit the medium tree-finch. In addition, there is ongoing research into how to reduce the effects of Philornis downsi on native birds. 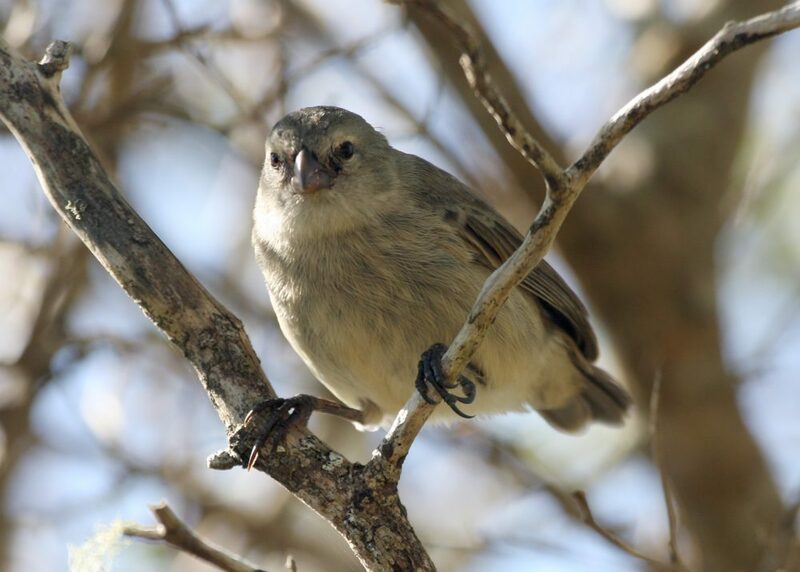 Help us to protect the critically endangered medium tree-finch by donating to our Restoring Floreana programme today! We are working with partners to restore Floreana island to its former glory.